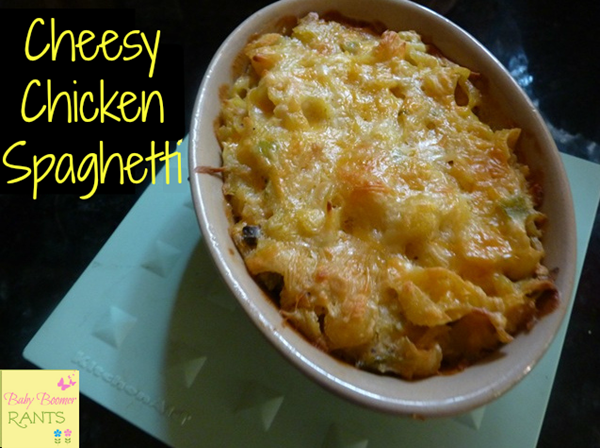 You are here: Home / Recipes / Dinner / Cheesy Chicken Spaghetti! I make my traditional spaghetti sauce from scratch, it’s the one recipe that I remember my Mom making pretty often as I was growing up and I loved helping her make it. Mom always made it on the stove – I am always afraid I will scorch it, so I use my Crock Pot. 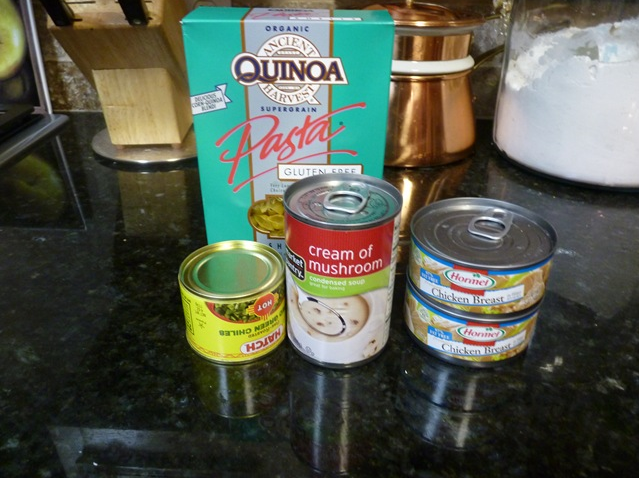 4th—this is my option tonight….canned chicken. I happened to have cans of Hormel Chicken that I bought on sale 10 for $10 a couple of months ago from Kroger. I am not in the mood to cook a chicken so, I popped open two small cans. Easy and cheap! For the recipe above, use 4 small cans. Mix all the ingredients together, including the cheese. The cheese will melt and stick all the ingredients together along with the soup. Use the milk to get all the soup out of the cans. 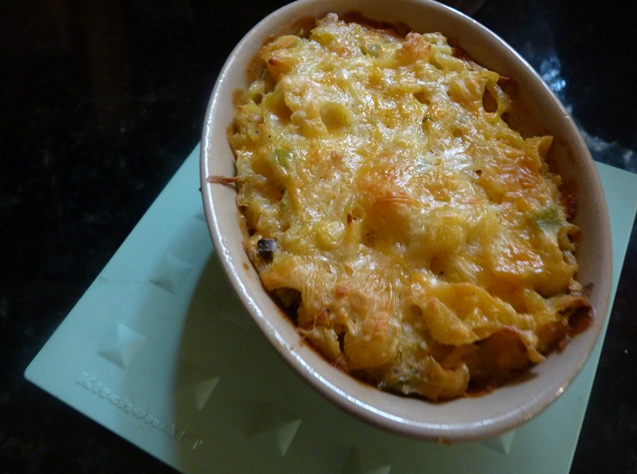 You can reserve a little of the cheese to top it for a nice appearance, if you want. Divide this into two square pans. Cook one at 350 degrees for 30 minutes. Freeze the other before you cook it. Or, of course, if you have a bigger family, it makes one 9×13 pan. Serve it with a green vegetable, such as green beans or a salad. I am alone today and made a small little pan just for me. I only made a half batch but there was enough to freeze a square pan for later.